Signs and Portents! – The Art of Affecting Consciousness. Synchronicities are off the scale this week. I managed to capture one a few hours ago with my mobile phone camera. I’m sitting doing some Artwork and kind of daydreaming about Egyptian symbols, like you do, when suddenly the volume of the birds outside the window went upto 11. 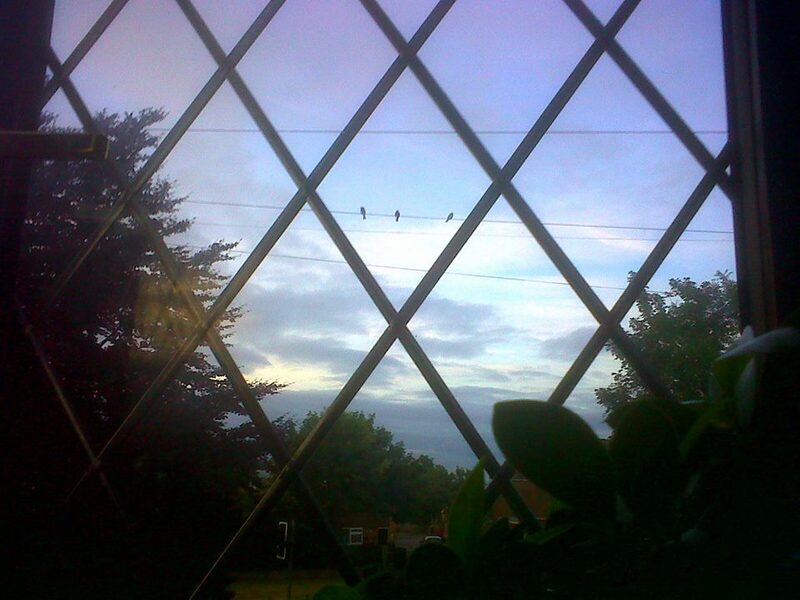 I looked over and saw these 3 little wise men outside clearly trying to get my attention. Now unless I’m mistaken that is clearly a pyramid with the stars of Orion’s Belt above it! Proof positive I maybe losing it slightly. Give me time I’m sure I will be able to find the face of an Egyptian God in those clouds behind.